Our weekly shoot ’em up of all the new stuff that’s come through our loading bay doors this past seven days. Soft knee pads available in a couple of colourways. 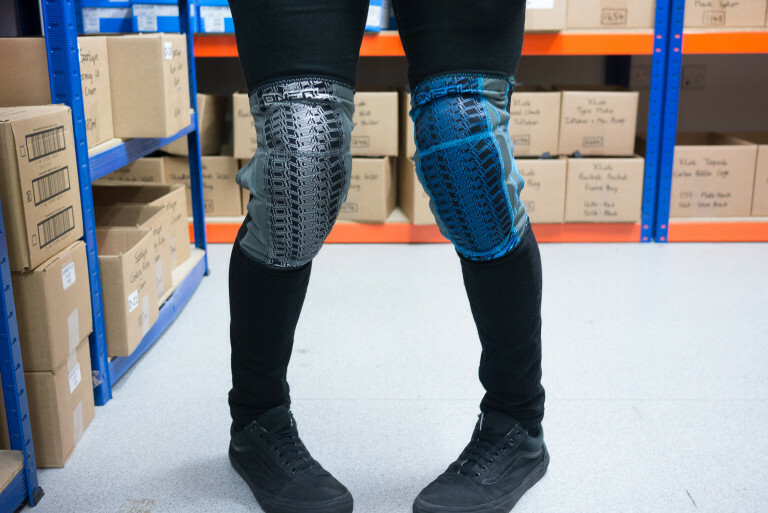 Some riders prefer to sacrifice the ultimate impact protection of a hard knee pad in exchange for a more pliable design that’s a bit more pedalling-friendly. These Appalachees offer the benefits of both systems. 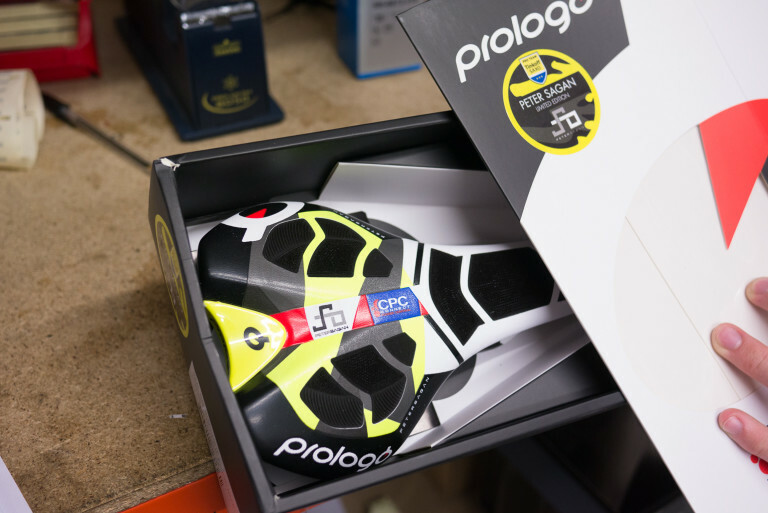 They’re soft whilst pedalling but contain a material that hardens up upon impact. Intelligent knee pads. Whatever next? 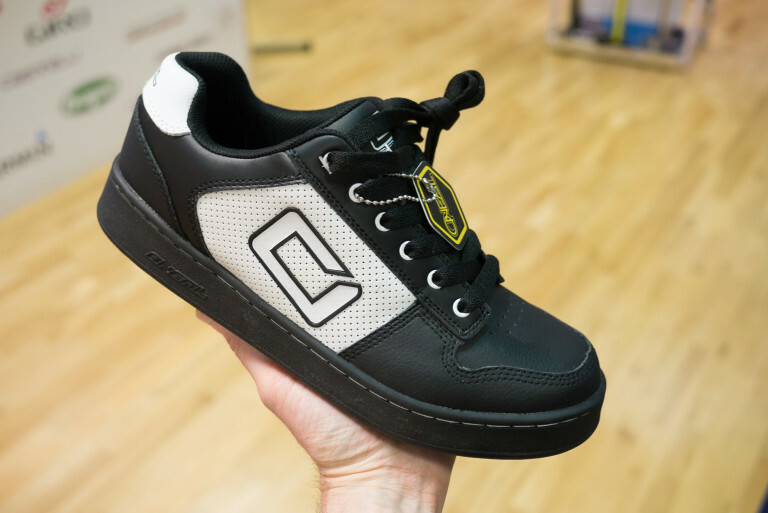 These are a well thought out shoe for flat pedal users. Tough uppers with enough flex and give in them. 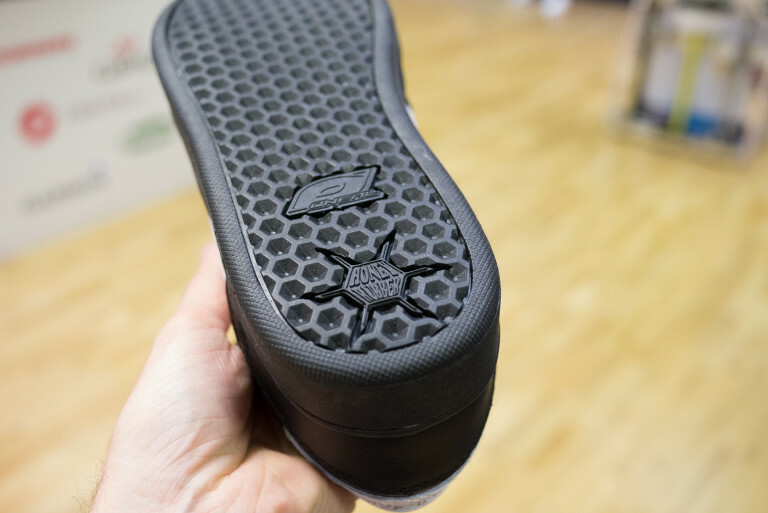 A sole that isn’t too thick made from a rubber that’s grippy but not too grippy. Rubber geeks will know what we mean when we say they’re made from 60a durometer rubber. So they’re grippy but still allow you to reposition your feet on the pedals without having to entirely lift off your foot. We’ve got a limited amount of these. 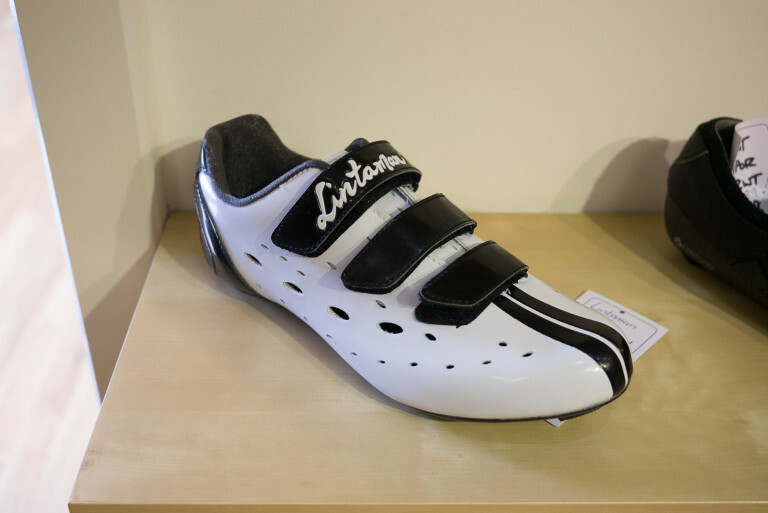 Chris Lintaman is a Canada road racing cyclist who has started up a shoe brand. These shoes can be shaped to exactly fit your feet. You warm them up for fifteen minutes with a hair dryer, bung them on your feet and then have a lie down while they cool down and form to your feet. The classic Racelight has come down in price by almost a third. 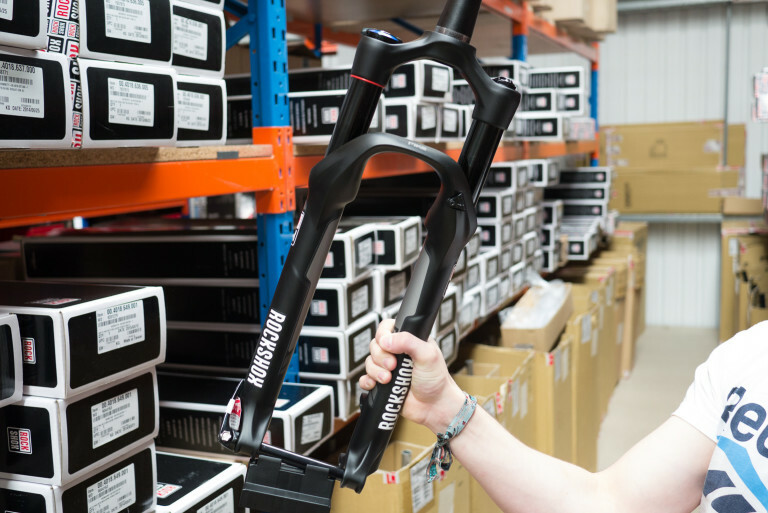 The frame and fork are well proven and is the choice of a huge number of riders in the UK for the winter months. Its hourglass profile stays add comfort for the daily commute, some touring or pounding out those cold weather miles on our UK roads. Do you like orange? Who doesn’t like orange? It’s the best colour on the planet, we all know that. 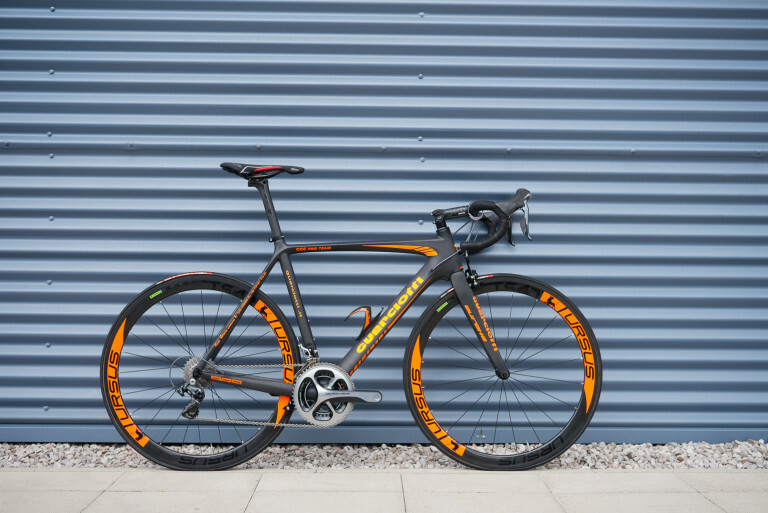 This is the Guerciotti that really likes orange. 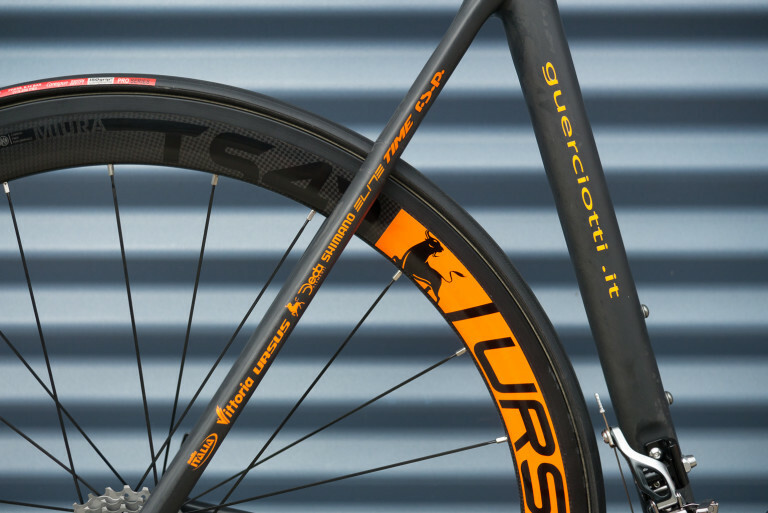 The Guerciotti Eureka SMH50. The pro race bike. Light, stiff. Race handling. 990g frameset. Orangey radness. When is a colour neither lemon yellow nor lime green? When it’s lemon green of course! 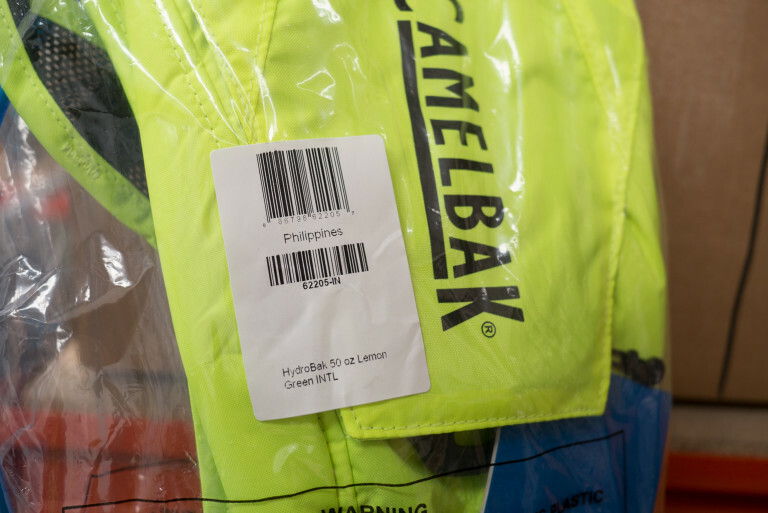 The Camelbak Hydrobak is very reminiscent of the original Camelbaks from the days of yore. A modest amount of water capacity and a pared down space for storing some spares. There must be a DJ out there somewhere called DJ Pike. If that’s you then this is the fork for you! This Pike is quite a bit different from your usual Pike fork. 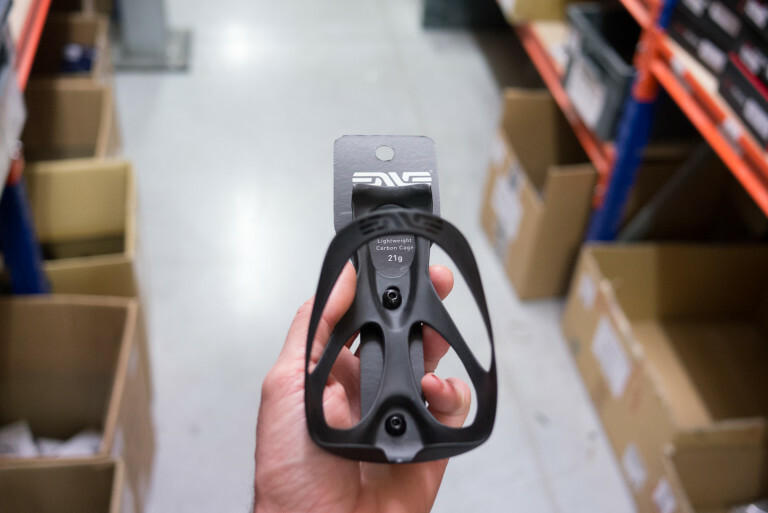 It’s for 26″ wheels and it only has 100mm of travel. It has the same sturdy construction and capable damping as other Pikes though. It’s a Pike designed for dirt jumpers but we reckon there’ll be plenty of folk with 26″ wheel 100mm travel front ends that will want a bit of Pike action. Maxxis changed distributors in the UK recently and during the switchover we were without a few models of tyres. Happily everything is back to normal now and we stock a wide range of Maxxis rubber, ranging from the XC stylings of the Ikon through to the DH spikiness of the Shorty. Have a browse why don’t ya? All the noise about new XT has been about the drivetrain. Which is understandable really. 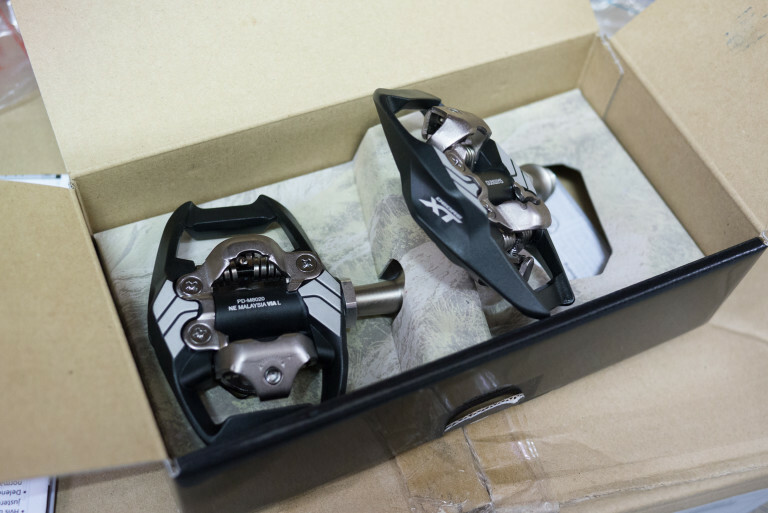 It’s not very often that Shimano add an extra gear to their er… gears. 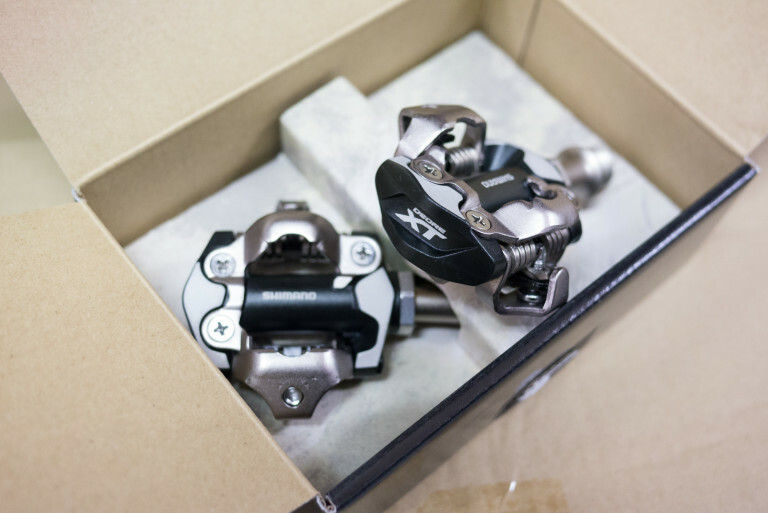 The new XT pedals have seen some small revisions to the previous versions. Basically they’ve been tweaked to offer a bit more support around the cleat area. This should result in less ‘hot spotting’ and a bit of a better feedback from the trail too. As before, the Trail version has a cage around the pedals to offer some bash protection whilst the XC version is pared down to save weight. 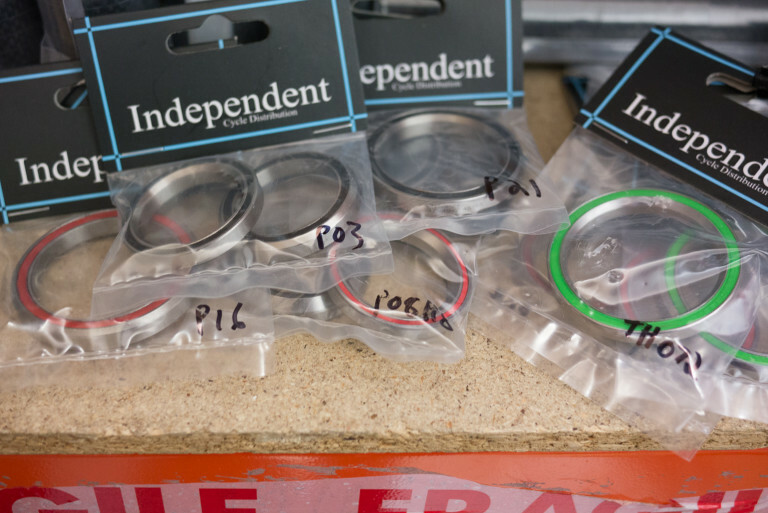 Sealed cartridge headset bearings to suit most of the popular road and MTB frames. Supplied as either a pair or singular. 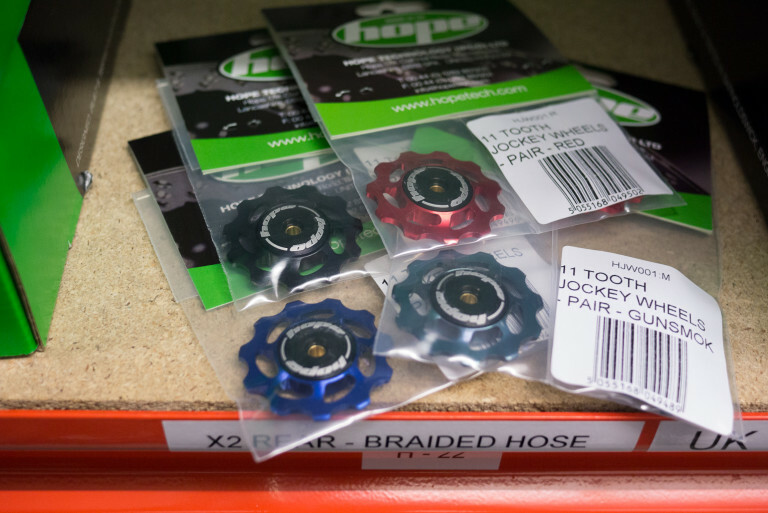 Headset standards can be a nightmare but our product page has good illustrations and information to help you find the bearing that your headset requires. 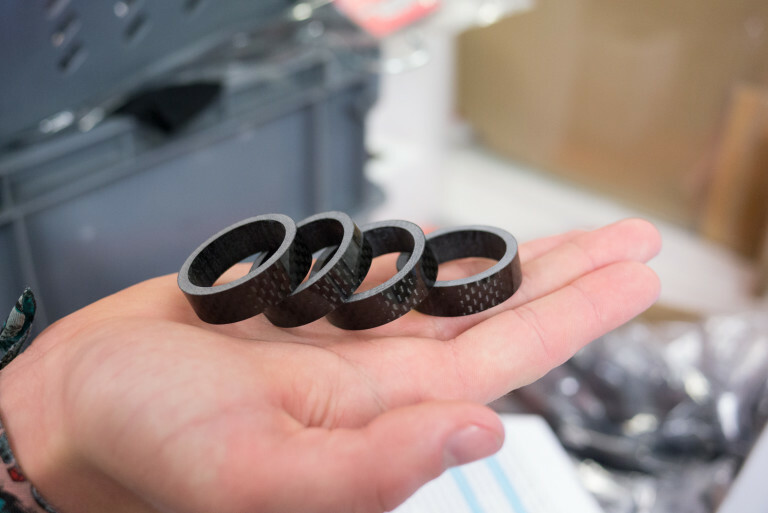 Save a tiny bit of weight and add a bit of carbon glam to your bike with a set of these spacers. 2 x 5mm and 2 x 10mm spacers in one pack. Very nicely made and finished, if we do say so ourself. Budget bling? These aren’t quite so budget but they are exceedingly bling. 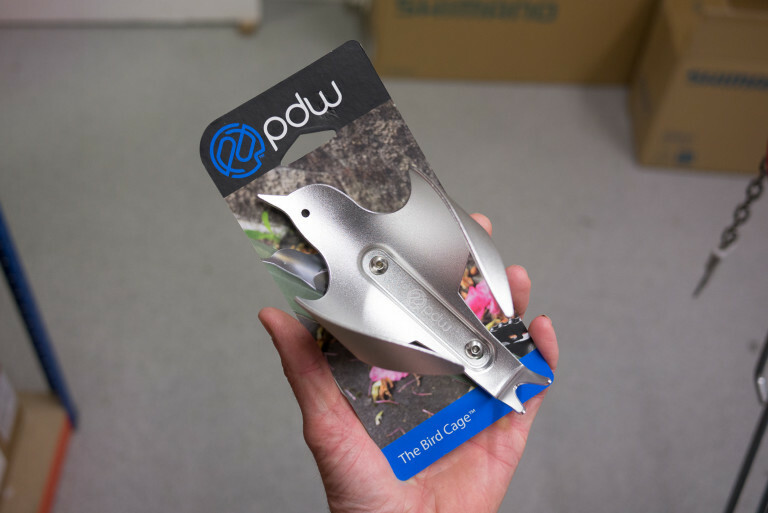 We could attempt to make a functional, rational reason as to why you should get these but we’re not going to bother. They might shed mud a bit better. They might last a longer. But who really cares? These are all about being shiny jewellery for your bike innit. Honestly, you pay fifty quid for some exotic titanium and then you have to stick them where the sun don’t shine. You never get to see your titanium rods once you’ve put them into your wheels. Ah well. At least it’s comforting to know that it’s there. 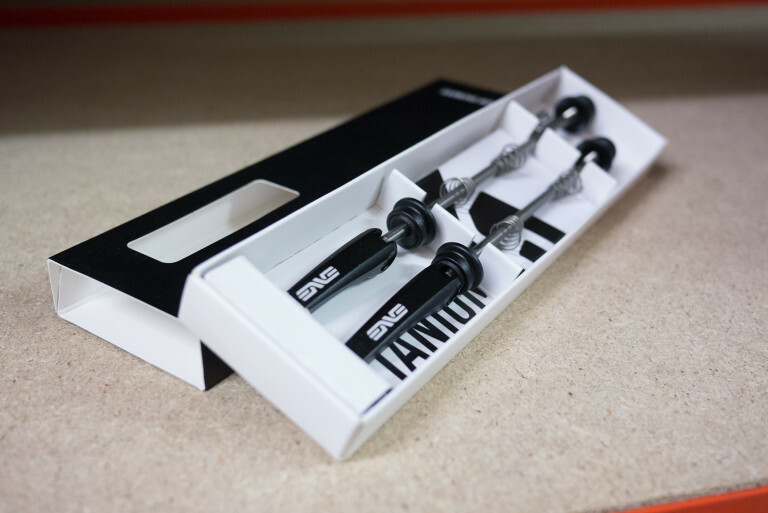 Compatible with all road hubs – 100mm front and 130mm rear axle. The pair together weigh 62g. Sixty quid for a bottle cage. Sixty. Quid. Oof! 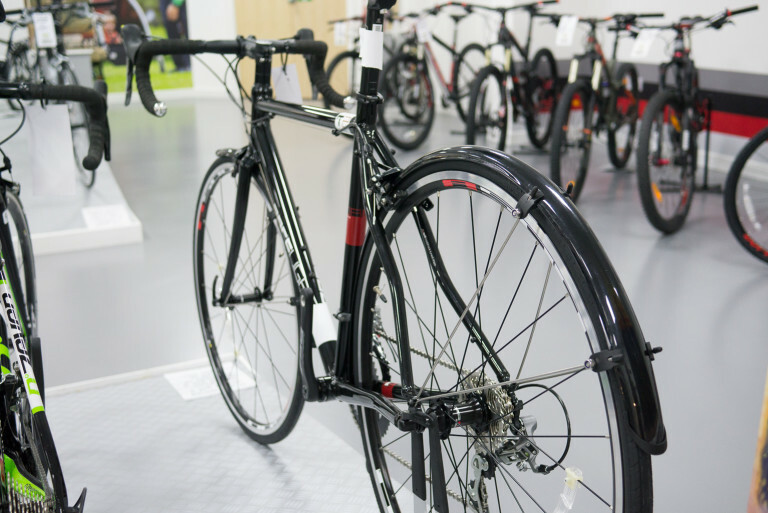 Since when has rationality had a place in high-end cycling? Never, that’s when. 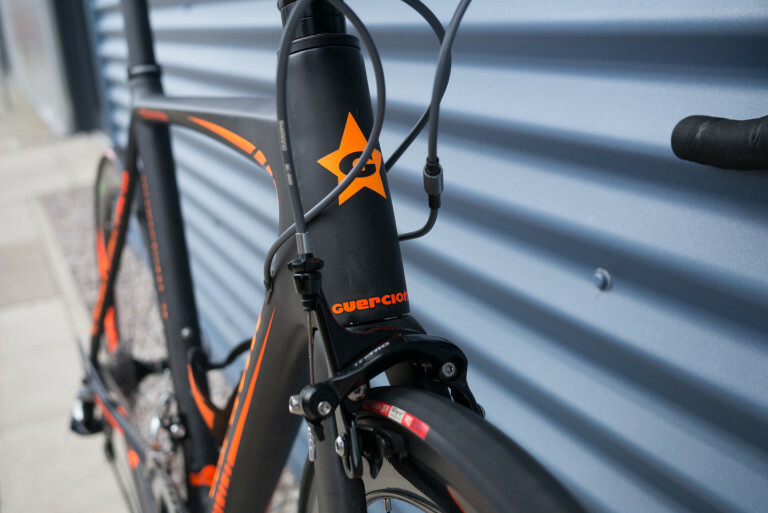 Strong and ultra light weight carbon bottle cage. Weighs a miniscule 19 grams. 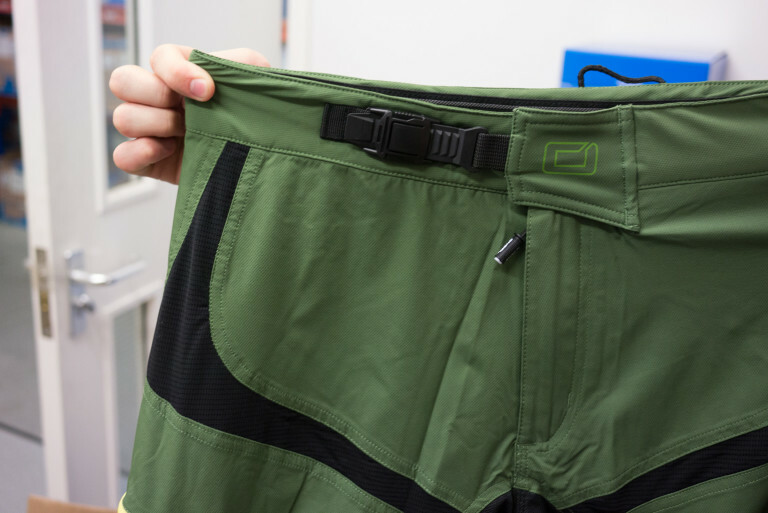 Suitable for road, MTB (enduro! ), touring and adventure riding, apparently. 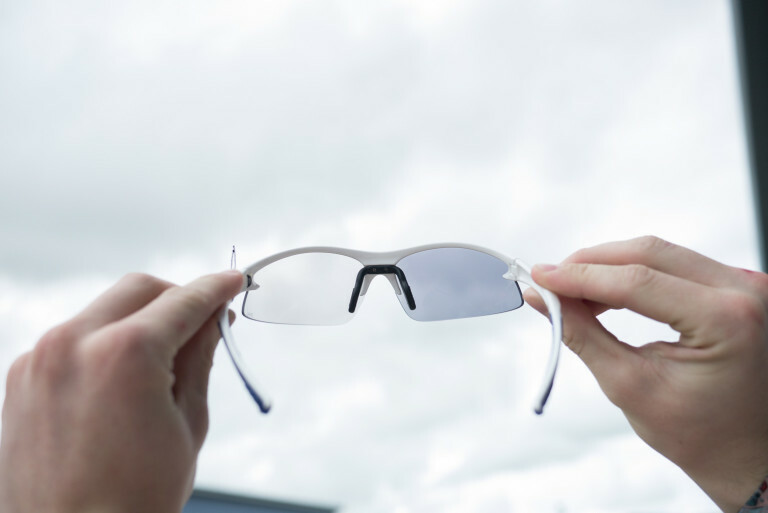 Lenses that change brightness depending on the lighting conditions are very useful for cycling. The above pic was taken by covering up the lens on the left whilst leaving the right lens open to the daylight. The resulting difference is lens tint illustrates the idea of photochromic lenses perfectly. Aren’t we clever eh? We like these photochromic glasses from BBB because they offer a very UK-friendly tint range; virtually clear through to a mid-dark tint. Prologo know how to write in MarketingSpeak. Check this out: “Thanks to the strategically placed polymer-shaped volcanos, the elasticity absorbs all shocks and vibrations resulting from the “Roads”. The CPC is a special 3D Polymer by the long chain molecular aggregation. The CPC with its Nano-structures, protects muscles, tendons and soft tissue stress, shock, vibration and oscillation that results from continuous pedalling. The design of the material CPC (multiple empty cylinders), it creates a “vacuum effect”, ensuring a perfect posture and better aerodynamics.” Wow. I’ll take two please. It’s not light. It’s not carbon. But it is very lovely. Other cages will be more techno-techno and racey but none can match the elegance and charm of this piece of genius from Portland Design Works. Available in silver or black. One for the mountain bikers. Or anyone after a casual-ish outdoorsy jacket made from a decent material. Ideal on the trails or in the pub. 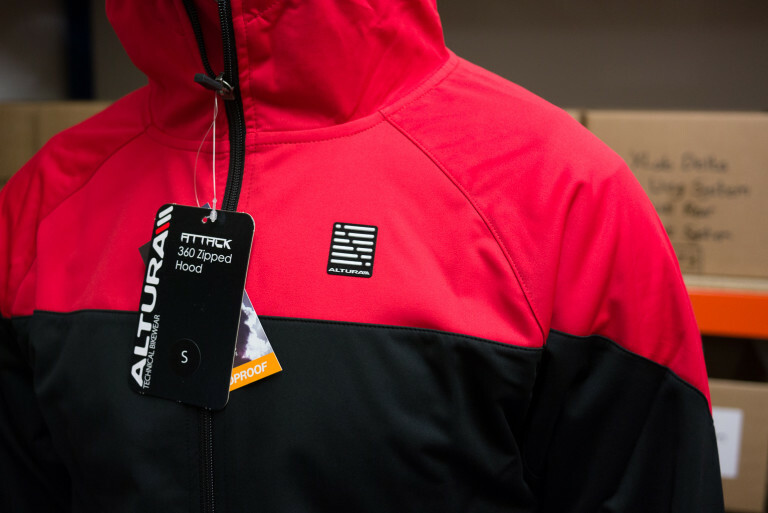 Currently at a bargain price as we’re running down our stocks of stuff like this before the Autumn-Winter 2015/2016 stuff comes in a couple of months. Tagged altura, bbb, bearings, camelbak, enve, goods in, guerciotti, headset spacers, hope, kinesis, lintaman, maxxis, oneal, portland design works, prologo, rockshox, Shimano, xt. Bookmark the permalink.